In 1876, Jacques Offenbach was one of the best-known composers in Europe and the United States. The Offenbach Garden auditorium, pictured on the right, was built on Broad and Cherry Streets, for the 1876 Centennial celebration. The garden initially met with success, but after Offenbach himself left, audiences became smaller and the gardens closed after two months. The building was later used as a carriage depository or bazaar and was demolished in 1892 to permit construction of the Odd Fellows Temple. 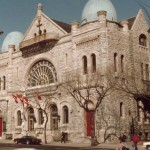 A century after the concert hall was demolished, the Philadelphia Academy of the Fine Arts occupies Broad and Cherry Streets, their original 1876 building occupying the south west corner, directly across Broad Street from where Offenbach’s Garden once stood. 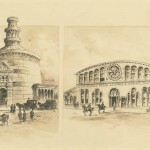 The building pictured at left is the Colosseum, which stood at Broad and Locust Streets in the same period and exhibited a cyclorama, "Paris by Night," during 1876. As steam powered locomotion took off in the 1830s, Matthias Baldwin (1795-1866) was at the heart of the movement. Originally a jeweler, silversmith, and machinist, Baldwin’s experimentation with steam powered engines lead him to create Old Ironsides, the most famous of early locomotives. 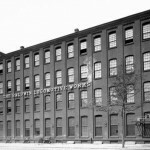 This photograph, from 1925, shows the Baldwin Locomotive Works factory, located at North Broad Street and Spring Garden Street. In 1920, seeking more factory space, Baldwin Locomotive moved from its Broad Street location to nearby Eddystone, Pennsylvania. Though the company closed in 1955, it was instrumental in supplying the U.S. Army during WWI and WWII and built more than 75,000 locomotives during its years in business. When Russell Conwell (1843-1925), a Civil War Veteran of the Union Army, began tutoring adults in the basement of his Baptist Temple on North Broad Street, shown here in 1984, he could not have known he was sowing the seeds for a nationally recognized University. Almost 170 years later, Temple University boasted numerous colleges, degree programs, a hospital, a law school, international campuses, and more than 38,000 students enrolled for the Fall 2013 semester. The main campus runs along North Broad Street, where it has expanded along with new businesses and entertainment centers and Center City Philadelphia is just 1.5 miles away. 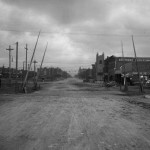 In the early twentieth century Broad Street underwent many changes. 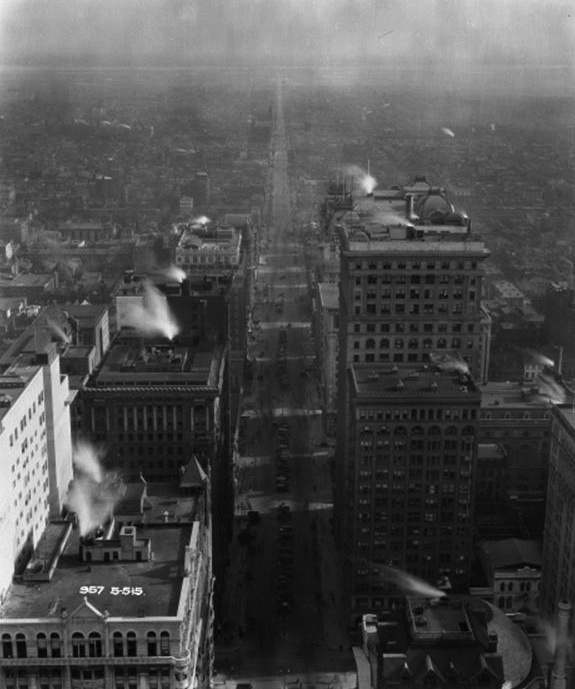 This aerial photo from atop City Hall was taken in 1915 and overlooks South Broad Street. In the foreground, Chestnut, Sansom, Walnut, Locust, Spruce, and Pine cross the arterial street. South Street and the rest of South Philadelphia are in the distance. Many of the large mansions originally built on Broad Street were replaced by businesses and office buildings once City Hall was completed in 1901. These large buildings are visible in the foreground. Additionally, in the city center, South Broad Street became a hub for arts and culture, with theaters, art galleries, and musical venues linings the blocks. In 1990, the area along South Broad between City Hall and Washington Avenue was renamed the “Avenue of the Arts,” leading tourists and residents to look to South Broad for arts, culture, and entertainment. 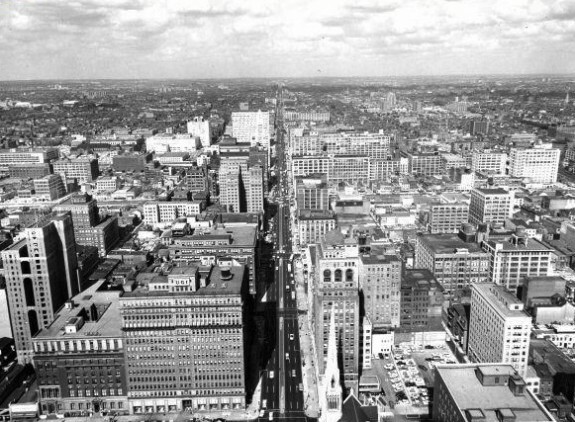 North Broad Street, seen here from atop City Hall in 1959, is a scene of tall office buildings and businesses. However, by the mid-twentieth century North Broad Street was beginning to decline as the successful business owners of downtown moved to the suburbs. Mansions that once lined the street were converted to apartments, and those that had become dilapidated were bulldozed or left to rot. North Broad Street was not lost completely though, as it became a hub for African Americans during World War II and their businesses, cultural venues, and community organizations found success along the street. In the later twentieth and early twenty-first centuries, North Broad Street experienced a revival in business, as plans for the Avenue of the Arts extended northward and as Temple University expanded its main campus and hospital. Among the contributors to the cultural life of South Broad Street was one of the great pioneers of gospel music, Dr. Charles Albert Tindley (1851-1933), pastor of the Calvary Methodist Church, formerly on Bainbridge Street. Drawn by both Tindley’s charismatic preaching and his music, African American migrants from the South flocked to his church, which moved to South Broad Street in 1905. Tindley Temple boasted some 12,500 members by the time of Tindley's death. 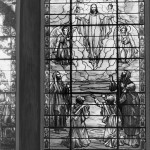 This stained glass window decorated the church, which was the city’s largest African American congregation and the largest black congregation in the United States in the 1930s. Opened in 1894, the Lorraine Hotel on North Broad Street was one of Philadelphia’s first high-rise apartment buildings. Designed by Victorian-inspired architect, Willis G. Hale, the luxurious apartment building was ten-story beacon to Philadelphia’s newly wealthy industrialists. 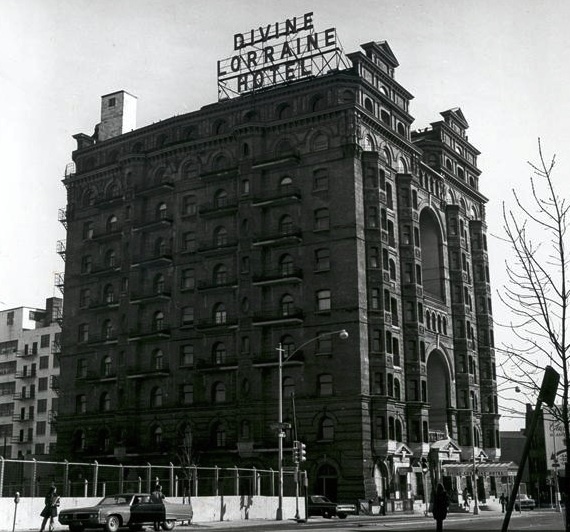 In 1948, the hotel was purchased by Father Divine (George Baker), who added his name to the building, making it the Divine Lorraine Hotel. 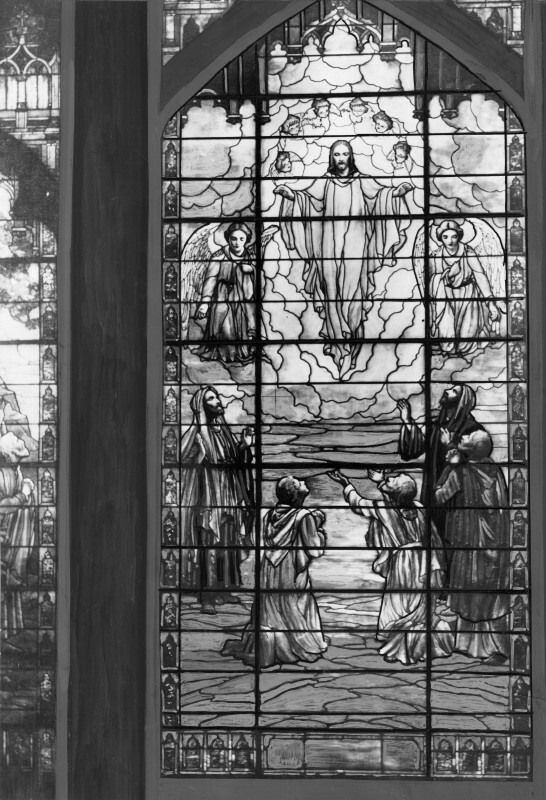 The Universal Peace Mission Movement, which Divine led, used the building as its headquarters, and all those who lived there were expected to follow the rules of the movement. 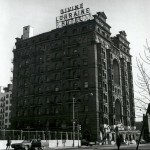 The movement frowned upon drinking, smoking, and mixing of the sexes, however, its members believed in racial equality and thus the Divine Lorraine Hotel was the first fully racially integrated hotel in the United States. The hotel closed in 1999 and many rumors of its future circulated in the following decade. Developer Eric Blumenfeld purchased the building in 2012 and envisioned returning the Divine Lorraine to its former glory and offer luxury apartments on North Broad Street once again. Broad Street is, as its name implies, the city’s broadest north-south street. At one hundred feet in width, the north-south arterial is indeed wide, but its length is more remarkable. From the extreme limits of South Philadelphia, it shoots north into Center City and beyond to North Philadelphia, right to the edge of Montgomery County. It is the longest straight urban boulevard in the United States and the longest straight street in Philadelphia (although traffic must circle City Hall in the middle). An old Philly aphorism is: “They say Broad Street is the straightest street, but when you get to City Hall, it gets real crooked.” Also, an old local joke is to send someone to Fourteenth Street. There is no Fourteenth Street, as Broad Street is where that street would be. Broad Street is the north-south counterpart to Market (formerly High) Street. When surveyor Thomas Holme (1624-95) prepared the first plan of the city of Philadelphia for William Penn (1644-1718), only Broad and High Streets were named. 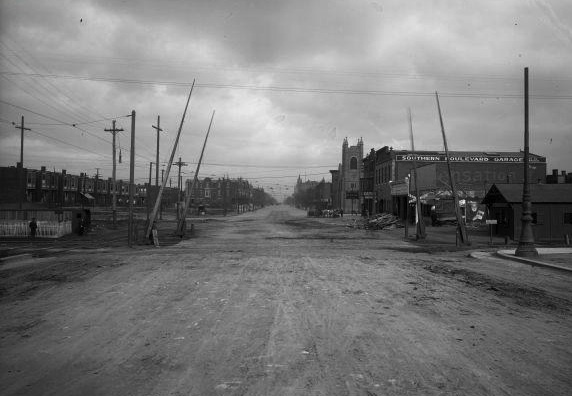 Twelfth Street was designated as Broad Street, and this rough road bisected the town almost exactly at its middle in what was then wilderness. The plan also designated a public square in the vicinity of this intersection, supposedly the center of the city, because Holme believed it to be the watershed dividing the Delaware and Schuylkill Rivers. The plot was therefore called Center Square. Penn intended that the Public Buildings (City Hall) of Philadelphia would one day go there. Broad Street was moved to Fourteenth Street by the 1730s, as that was closer to the actual midpoint between the two rivers. Surveyors also corrected Holme’s error regarding Center Square and placed the commons where it is today—the location of City Hall. Troops drilled in and around Center Square during the War of Independence, and the French army under Rochambeau camped there on the way to Yorktown. Later, Center Square became the site for Philadelphia’s first waterworks. After the Revolution, Broad Street grew, first to the north: The road was extended from Vine Street to Ridge Road (Avenue) in 1811. It continued north through the nineteenth century, and its northernmost extensions were created between 1903 and 1923. The street was also lengthened to the south: In 1819, the road reached from South (formerly Cedar) Street to Dickinson Street. With the city-county consolidation of 1854, a rudimentary version of Broad Street extended as far south as the later site of the Philadelphia Navy Yard. Broad Street began to fill in by the first third of the nineteenth century. As the city’s population grew westward from its original concentration near the Delaware River, South Broad Street became distinguished by elite residences, hotels, and cultural institutions. Wealthy Philadelphians who wished to escape the crowded conditions of old Philadelphia built fine mansions along South Broad. Several expensive hotels also opened on South Broad by the 1850s, including the LaPierre House at Broad and Sansom, which was touted as the most luxurious hotel in America. These hotels also housed clubrooms and rathskellars for the many social organizations based along both South and North Broad well into the twentieth century. 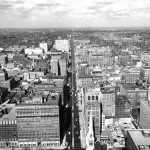 Closest to Center Square, Broad Street also became home to cultural institutions. On South Broad, the Academy of Music opened at Broad and Locust Streets in 1857, and it was joined by the Union League eight years later. To the north, during the second half of the nineteenth century Broad Street from City Hall to Race Street became lined with businesses and institutions including the Masonic Temple, the Pennsylvania Academy of the Fine Arts, Offenbach’s Garden (replaced in 1892 by an Odd Fellows Temple), and the Adelphi Theater (demolished in 1881). Farther north, the street had an industrial character, created by Matthias Baldwin (1795-1866), who founded his great locomotive factory in the 1830s at the corner of Broad and Spring Garden (outside the city limits at that time). 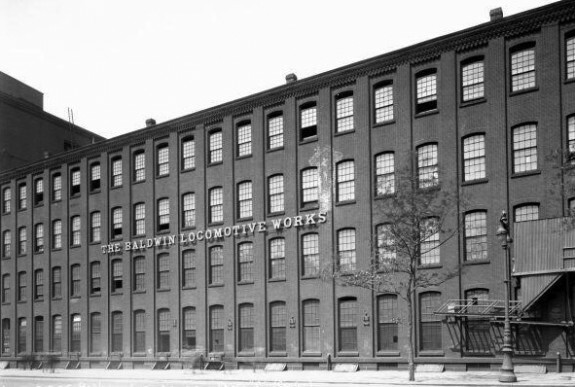 This industrial site grew to encompass several blocks between Callowhill and Spring Garden Streets as other manufactures joined the Baldwin Works in this gritty manufacturing area along North Broad Street. After the Civil War, North Broad Street became one of Philadelphia’s leading elite addresses. Many mansions were built in the Gothic and Victorian styles, mostly to house the families of wealthy industrialists and middle managers, such as those who owned and worked at Baldwin Locomotive Works and associated factories. Other fabulous homes were erected for the owners and operators of traction companies who laid down trolley tracks in most of the streets of Philadelphia (and other cities too). These men—William L. Elkins (1832-1903) and Peter A. Widener (1834-1915)—and their enormous Victorian homes represented the peak of North Broad’s development. Reflecting the evolution of the street, Broad Street’s sidewalks were broadened and large granite blocks were used to pave the roadway in the 1870s. In 1894, Broad was the first street in Philadelphia surfaced with asphalt—the latest in paving technology at the time—for primitive automobiles. This work, instigated by Mayor Edwin S. Stuart (1853–1937), cost the city half a million dollars. The blocks of stone (Belgian blocks) that had previously lined Broad Street were used to replace the cobbles in nearby small streets. 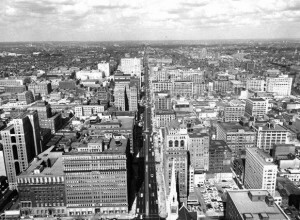 And, like Market Street, Broad Street subsequently became the route of a subway line, initially opened in 1928 with additions made in 1936, 1956, and 1970. By far the biggest change for Broad Street occurred in the last decades of the nineteenth century, when City Hall was constructed on Center Square, encompassing the entire block and interrupting travel on both Broad and Market Streets. The completion of the “Public Buildings” encouraged the development of office and financial headquarters along the thoroughfare close to the new seat of government, and under the watchful eye of the statue of William Penn high atop the building’s tower. Philadelphia’s City Hall was designed to be huge in every way so as to make a statement about the city’s wealth and industrial might. With the relocation of city government to Broad and Market, residential and office skyscrapers replaced many of the mansions and hotels along South Broad (although several fine hotels, such as the Bellevue Stratford, remained). 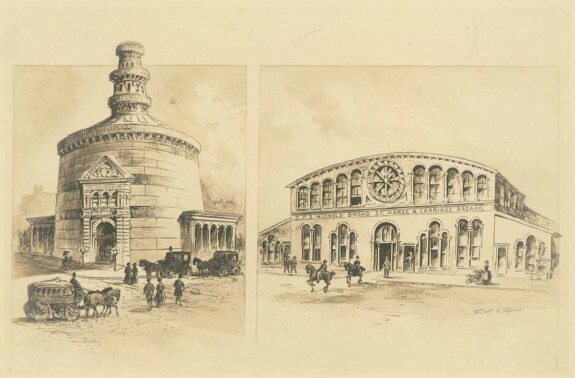 The Pennsylvania Railroad’s Broad Street Station, opened in 1881 directly across from City Hall, added to the mix and helped transform Broad Street from a quiet institutional and residential roadway into a bustling commercial thoroughfare. Broad Street also experienced a major building boom farther south in the late nineteenth and early twentieth centuries. Much of this was due to the Vare Brothers—William Scott (1867-1934), George (1859-1908) and Edwin (1862-1922). They were construction contractors and politicians who ran a corrupt South Philadelphia political machine and reaped most of their construction and waste-handling business through municipal contracts. Besides building projects throughout South Philadelphia, the Vare brothers were responsible for the modern grading of Broad Street south of Oregon Avenue. North and south, Broad Street remained a cultural magnet into the twentieth and twenty-first centuries. Philadelphia’s famous New Year’s Day Mummer’s Parade has strutted and strummed along two miles of South Broad for over a hundred years. In the late 1990s, the crux of theaters, galleries, and performance spaces on Broad Street between City Hall and Washington Avenue was designated the “Avenue of the Arts.” Similar plans have been envisioned for North Broad Street as well. In addition to such longstanding musical landmarks as the Academy of Music, Broad Street around the area of South Street became known in the early twentieth century as a center for jazz and gospel music. These developments were an outgrowth of the Great Migration, the northward movement of African Americans that occurred during and after the First World War. 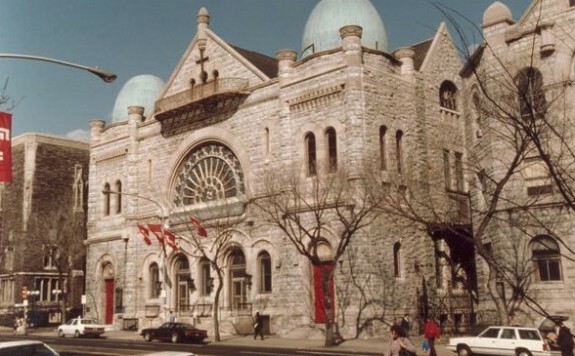 When labor demand created by World War II precipitated another African American migration to Philadelphia, North Broad Street also became an important cultural center for black Philadelphians with such venues as the Uptown Theater, which opened in the 1920s as a movie theater but became a destination for soul and rhythm and blues performers from the 1950s to the 1970s. North Broad Street played a role in the nation’s transportation history as a link in the Lincoln Highway, and it became Philadelphia’s Automobile Row with showrooms for the latest models. 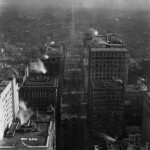 However, by the mid-twentieth century, North Broad experienced a severe decline. The well-heeled property owners of North Broad Street moved to suburban estates north and west of Philadelphia by the 1940s. Many of their mansions were subdivided into apartment buildings, while others were demolished and replaced by retail establishments, automobile dealerships, and gas stations. Redevelopment initiatives included those of civil rights leader Leon Sullivan (1922-2001). A Baptist minister, he moved to Philadelphia in 1950 and became the pastor of Zion Baptist Church, 3600 N. Broad Street. In 1964, Sullivan formed the Opportunities Industrialization Center along North Broad to provide job training for African Americans. He also established the Zion Investment Association, which invested in new businesses in Philadelphia. As a result, the first black-owned and developed shopping center in the world, Progress Plaza, was built in 1968 on North Broad. Other grassroots organizations, such as North Philadelphia Block Development Corporation (founded in 1976), lobbied for increased community development funding for the downtrodden neighborhoods flanking North Broad Street. Broad Street grew from a rural lane in the countryside into a dense urban boulevard, as well as perhaps the most important street in Philadelphia. The central axis of nineteenth century industrial tycoons became a main artery for Philadelphians of all backgrounds, extending from Center City north and south through the entire city and its diverse neighborhoods. Jackson, Joseph, Market Street, Philadelphia: The Most Historic Highway in America; Its Merchants and Its Story. Philadelphia: Public Ledger Co., 1918. Broad Street Comes Alive. Philadelphia: Architectural League of the Philadelphia Art Alliance, 1978. Lyons, Margaret J. Broad Street Philadelphia in Black & White. Wyncote: Gaslight Press, 1999. Skaler, Robert Morris. 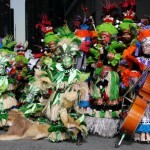 Philadelphia’s Broad Street: North and South, Images of America Series. Charleston: Arcadia Pub., 2003. Buschel, Bruce. Walking Broad: Looking for the Heart of Brotherly Love. New York: Simon & Schuster, 2007. Commissioners for the Erection of Public Buildings, Record Group 162, City of Philadelphia Department of Records, City Archives, 3101 Market Street, Philadelphia. Freedom Theater, 1346 N. Broad Street, Philadelphia. Pennsylvania Academy of Fine Arts, Broad and Cherry Streets, Philadelphia. Stadiums / Sports Complex, South Broad Street, Philadelphia. Temple University, Broad Street and Cecil B. Moore Avenue, Philadelphia. University of the Arts, 320 S. Broad Street, Philadelphia. 1840 – Horter and Clark’s stables were in an insurance building on Broad St. in Philadelphia per John Clark Horter June 23rd, 1938 letter to his daughter Dotsy Barager. 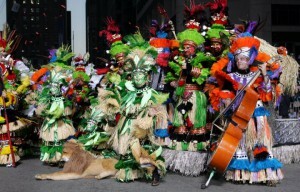 Wasn’t PMA on Broadstreet next to the Academy of Music? Harry, thank you for your article. In tracing my family tree, I have found that my great-great-great grandfather, Patrick Ward, and his brother Michael were proprietors around the late 1800’s. Since the building has been demolished I’m finding it difficult to find information on it. Are there any other resources that you might know of that could help me research it further? Harry, you say that in the 18th century, Broad Street was moved closer to the midpoint between the two rivers, but I’m pretty sure the opposite is true. If you look at Holmes’ 1682 map, Broad Street was already at the geographical midpoint between the Delaware and the Schuylkill, where 12th Street is now. I recall reading that the city was re-surveyed about 1741 and moved west to reflect the divide that determines the runoff to each river. There are only eight blocks from the Schuylkill to Broad, but fourteen from the Delaware to Broad.